The past year's record-setting holiday shopping season gave online retailers a glimpse into the future as Cyber Monday sales broke the $2 billion mark. The past year’s record-setting holiday shopping season has given online retailers a glimpse into the future. Comscore reported that this year’s Cyber Monday sales broke the $2 billion mark, up 17% from previous years. Driven by rapid digital adoption, the following five shopping trends are likely to continue into the near future. Over 40% of online traffic over the holiday shopping season was attributed to mobile devices. Still, smart phones accounted for less than 10% of purchases, suggesting consumers use phones to research before making a purchase on another device. Retailers will continue to focus on improving the omni-channel shopping experience while taking advantage of personalized offers that integrate data from mobile devices and services. While tablets accounted for less than 15% of online traffic, larger screens generated 16% of online sales. Next year, retailers who optimize the tablet shopping experience will see even more conversions from second and third screens. Although Cyber Monday continued to dominate and even shatter sales records, the majority of sales didn’t peak until evening. Anticipating a busy work day, many retailers posted “late night edition” websites to capture the evening shopping swell. What worked well will be enhanced over the coming year. Time-sensitive offers will grow in popularity and push the boundaries of the holiday shopping season. As Thanksgiving approached, many retailers pushed Black Friday deals well into early November competing for the early bird shoppers. By tracking shopper behavior with increasing precision, retailers will be able to personalize offers before and after key shopping days to maximize conversions. While Black Friday, Thanksgiving, and Cyber Monday were all conceived in and popularized by the US economy, online retail was not limited by geography. According to IMRG and Experian, traffic to UK retailers increased 60% on Black Friday. Other E-commerce sites the world over are embracing these dates, and will continue to emulate US retailers. US retailers who respond with personalized offers for overseas shipping can capitalize on this trend as well. 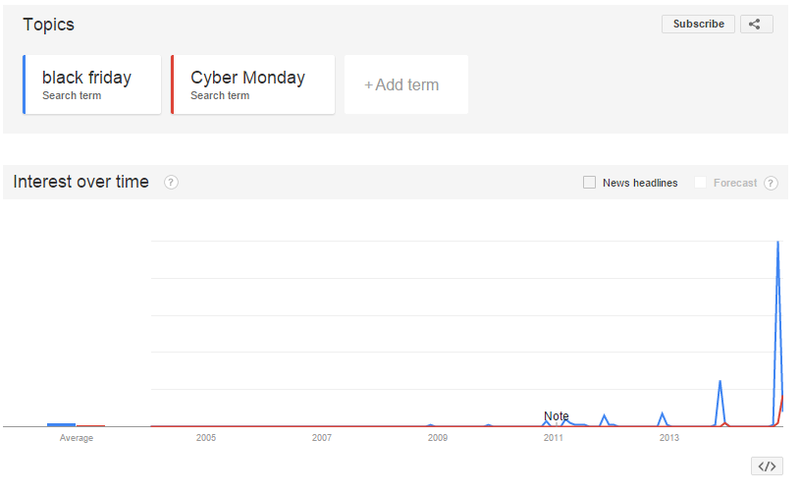 The Google Trends screenshots below clearly illustrate this trend. 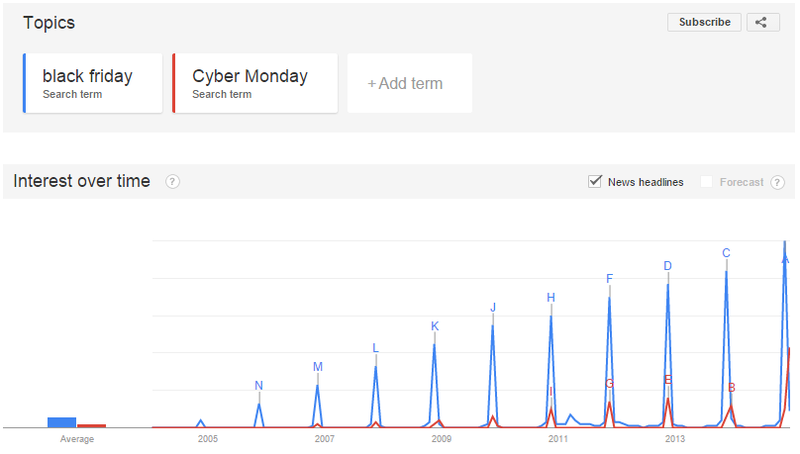 While searches for Black Friday and Cyber Monday increase incrementally in the US every year, UK searches spiked dramatically. These top five trends will define online retail in the coming year. To effectively adapt to and capitalize on these changes, retailers must embrace new technologies. Personalization and conversion optimization are pivotal to this disruption, and will play an increasingly significant role in digital marketing across multiple verticals.